Happy New Year, everyone. Welcome to The Lowdown. What is The Lowdown you ask? It is a weekly look and anything and everything relating to the National Women’s Soccer League. 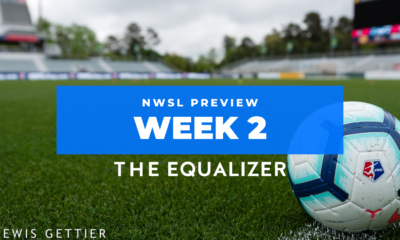 We published weekly on womensprosoccer.com and we’re back now as part of the Equalizer family. 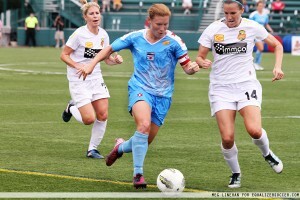 Look for the latest news and information about NWSL every Tuesday. So far the league—run by U.S. Soccer—is keeping things quiet. As the calendar turns to the year NWSL will launch there are still no players on any roster, no schedule or playoff format, and no more than promises and hints at a television partner and national sponsor. U.S. Soccer certainly has the means to carry this thing for awhile but they are also historically conservative with their information. For now here is a very quick look at the eight teams that will make up NWSL’s inaugural season. What We Know: The Breakers are probably the most stable of the eight franchises. A WUSA original, they re-launched in 2009 with WPS and were the model franchise in WPSL Elite, filling Dilboy Stadium for all seven home matches. Lisa Cole offers stability as well. She joined the club as Tony DiCicco’s assistant in 2009 before being elevated to head coach following 2011. What We Don’t Know: Not much other than player selection. If they can figure out how to get the core from WPSL Elite back in Boston they’ll have a leg up on most of their competition. What We Think: The Breakers have a chance to become the first women’s soccer team to create an active demand for tickets if they can continue to sell out Dilboy and gain more traction in the community. If this happens it will be a significant breakthrough for the sport. What We Know: The Red Stars played in WPS in 2009 and 2010 and then dropped out for 2011, citing financial constraints. That appears to be the move that secured the future of the team long enough to land them in the NWSL. They will continue to play in multiple venues under Dames,who guided the club to near misses for championships each of the last two seasons. What We Don’t Know: With only 11 home games, how will the team splitting venues fare with fans crying out for stability. 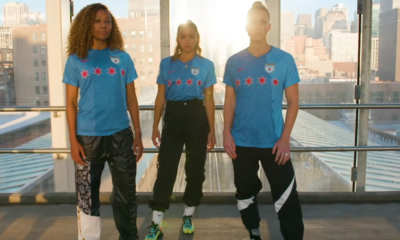 What We Think: Chicago appears to be a strong market for women’s soccer and the Red Stars have done a masterful job cultivating their base especially since dropping out of WPS. What We Know: A brand new team, FC Kansas City is owned by the same group that owns the Missouri Comets of the Major Indoor League. That means that while they will be building the women’s program from scratch they will be doing it with an in-place staff with knowledge of the area. What We Don’t Know: Andonovski has coached youth girls in the past but comes to the team after spending time as a Comets assistant. The pervading feeling is that allocated players put FCKC low on their wish lists and that free agents will be hesitant to commit. Another big unknown is a venue, expected to be somewhere with more than 5,000 seats. What We Think: Outlying teams tend to fare well in leagues of this nature. The Philadelphia Charge (WUSA) and Saint Louis Athletica (WPS) were both success stories early, although Athletica later folded midway through year two. This will be one of the intriguing teams to follow as they build their team and go through the season. What We Know: The only WPS team that did not take the field in 2012. Instead they had Gabarra coach the New Jersey Wildcats in an effort to remain involved with the community. They have some brand recognition if it sustained through a year off the radar. 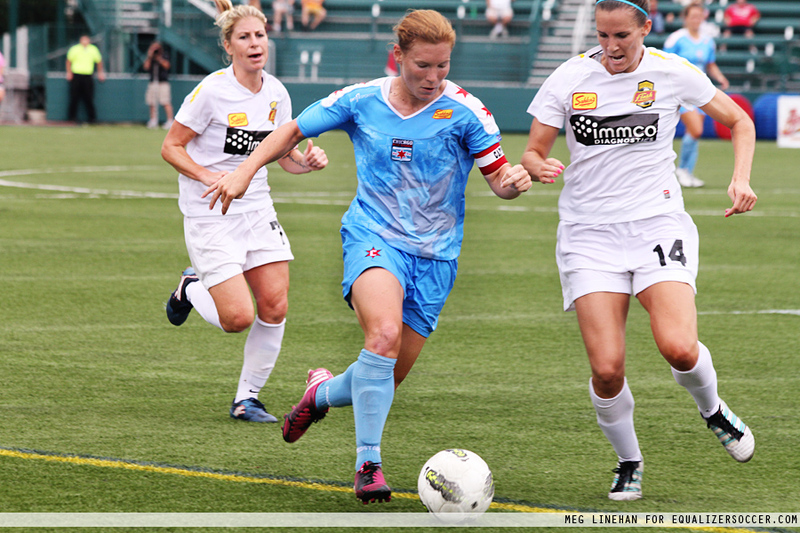 What We Don’t Know: In three WPS seasons Sky Blue was filled with turmoil and the team eventually lost Christie Rampone, Heather O’Reilly, Tasha Kai, and others for a variety of reasons although it has been speculated players did not care for the environment there. What We Think: It looks like the team is returning to Yurcak Field, a suitable venue for the club but one that came with small crowds and little atmosphere. The team has to do something to engage its fanbase and ultimately expand it or it will quickly get lost in the landscape. What We Know: The Thorns are the only team under the same ownership umbrella as an MLS team. And what an MLS team it is. The Timbers have sold every ticket to all 34 of their regular season home games and have a waiting list for season tickets (aprox. 5,000) likely to be larger than any NWSL team averages in 2013. They will play at JELD-WEN, which could prove to be too big (they may also play some games at Merlo Field at the University of Portland). What We Don’t Know: The Timbers are a model for MLS off the field but in two seasons have yet to get close to a formula that can win consistently. We’ll see if that changes and whether the women’s team follows suit or develops its own identity. Portland is expected to be a desirable option for the allocated players. Will they get the right mix? What We Think: This is an important market for NWSL. The team has already secured more than 2,000 season ticket deposits (all refundable) and the Timbers Army is already working on chants to use at the games. The Thorns success or lack thereof figures to go a long way towards the overall success of the league. What We Know: Owner Bill Predmore was part of the original group that loosely announced a league in August. But after that he had to ward off the Sounders Women to secure the franchise based in Seattle. That means the Reign will not have direct affiliation with the Sounders and there are already Sounders fans calling for boycotts of Reign matches. What We Don’t Know: Scuttlebutt has the Reign trying to secure Starfire, but that might mean battling the Sounders Women for dates. What We Think: They brought in a successful European coach, Laura Harvey, and are likely to be a sought after destination for allocated players and free agents. Expect them to draw well and be no worse than decent on the field, if that free agent desire remains. What We Know: The Spirit are D.C. United Women, who joined the league and then changed the name both to create their own identity and to avoid being squeezed for corporate dollars associated with it. They have never played in the top flight but have been a strong W-League side and it is a market with a history in women’s pro soccer. What We Don’t Know: It remains to be seen how fans will react to the team. Will they be looked at as the United Women? As the Freedom (the team wanted the Freedom name but elected not to bring Dan Borislow even to the fringes of the new team)? Or as a brand new team? Any of the three options should bode well. What We Think: The Freedom were always well backed and the SoccerPlex offers a beer garden and thus one of the more legitimately professional settings in the league. What We Know: The Flash committed to playing at the top level the U.S. had to offer in 2011 and have held up their end of the bargain ever since. Now being run by Joe Sahlen’s daughter, Alex, the Flash will be trying to win their fourth-straight league title playing in their fourth different league. What We Don’t Know: In 2011 Joe Sahlen opened his wallet to bring Marta to Western New York and it paid off with a championship. Will the Flash again be spenders or will they be cutting back? It will be a score if they land homegrown Abby Wambach but few other players are a natural geographical fit to the area. Canadian captain Christine Sinclair and U.S. forward Alex Morgan also played in Rochester, N.Y. during the 2011 WPS season. What We Think: Sahlen’s Stadium will be the league’s best venue other than JELD-WEN, but other than the 2011 WPS Final and a few games featuring Wambach as a visiting player it has been mostly empty for Flash matches. That makes the Flash an interesting mix of success on the field and a struggle off the field, but also gives them the most room for growing into a sustainable club.